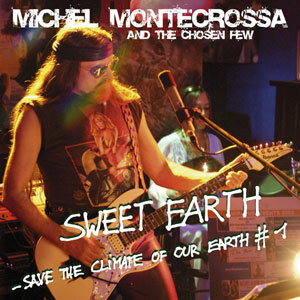 About ‘Climate Generation’ Michel Montecrossa says: „Climate Generation is the youth-movement of the 21st century. 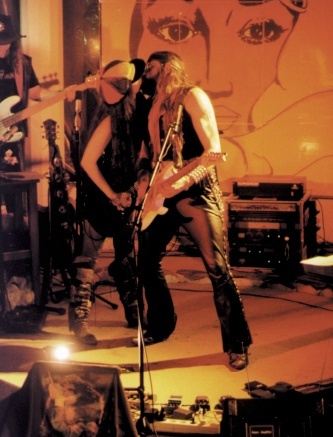 Michel Montecrossa says: „At the Spirit of Woodstock Festival 2009 in Mirapuri me and my band perform our 10 days ‘Alternative Future’ concert series. During these concerts we present topical songs dealing with the life on our rapidly changing earth and the impact these changes have on our future. About ‘Another World’ Michel Montecrossa says: „When good things turn bad, what good comes from the bad? Is the green Greenland the good that comes from the melting ice? „The earth mystery is revealed in every blooming rose and in our feeling of how lovely and fair she is. „Life needs light: the light from the sun, the light from consciousness. About ‘Light Energy’ Michel Montecrossa says: „The original light and the planetary light, the light of consciousness and the light of the sun is one light energy creating all. About ‘Peace & Light’ Michel Montecrossa says: „Peace and Light go hand in hand. They are the kind heart and wisdom of love. Power-Peace they are and bright hope. „The demons that ride humanity are like volcanos erupting, like waves surging, like thunderstorms growling, like cyclones howling, like fire screaming, like earthquakes rumbling, like sunrays burning, like ice melting, like oceans and rivers rising, like deserts expanding, like global warming, like ice-age coming, like climate changing, like air mutating, like water fading – the brain echoes of the planet’s language, the call of evolution, the drive of consciousness growing. „There is an intimate relation between man’s soul and the earth. „Love is Divine. Emotion is Human. Arousal is Terrestrial. About ‘Wake Up’ Michel Montecrossa says: „All over the world writing and singing bring us songs that make us aware in larger ways, songs that are broadsides of consciousness. I added a new site to this blog where one can find various climate change-related quotes & views, CDs, films, books and paintings by Michel Montecrossa. Also actual projects in Mirapuri (like the application of solar energy and afforestation) that are aimed at taking action to stop Global Warming are mentioned. 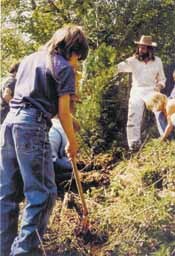 Es gibt eine neue Seite auf diesem Blog, die einen Überblick hinsichtlich Klimawandel-relevanter Zitate, CDs & Filme & Bücher sowie Zeichnungen von Michel Montecrossa gibt. Auch aktuelle Projekte, wie der Einsatz von Solar-Energie und Aufforstung in Mirapuri, werden vorgestellt. Still more beautiful photos taken during Michel Montecrossa’s successful premiere of his ‘The Jesus Symphony’ at the St. Martin Church in Lagerlechfeld (near Augsburg) in Germany on 14.11.2009. Weitere Fotos von Michel Montecrossa’s erfolgreicher Uraufführung seiner ‘Jesus Symphonie’ in der St. Martin Kirche in Lagerlechfeld in Lagerlechfeld (am 14.11.2009) . More Michel Montecrossa’s ‘Jesus Symphony’ premiere photos!! Here’s a second set of photos taken during Michel Montecrossa’s successful premiere of his ‘The Jesus Symphony’ at the St. Martin Church in Lagerlechfeld (near Augsburg) in Germany on 14.11.2009. Hier ein zweites Foto-Set von Michel Montecrossa’s erfolgreicher Uraufführung seiner ‘Jesus Symphonie’ in der St. Martin Kirche in Lagerlechfeld in Lagerlechfeld (am 14.11.2009) . I am very happy to publish here the first photos of Michel Montecrossa‘s premiere of his ‘The Jesus Symphony’ at the St. Martin Church in Lagerlechfeld (near Augsburg) in Germany on 14.11.2009. Ich möchte euch hier bereits die ersten tollen Fotos von Michel Montecrossa‘s Uraufführung seiner ‘Jesus Symphonie’ in der St. Martin Kirche in Lagerlechfeld (am 14.11.2009) vorstellen. On November 14th, 2009 Michel Montecrossa and his Lightsound Orchestra will present the premiere of ‘The Jesus Symphony’ at the St. Martin Church in Lagerlechfeld, situated in the Augsburg region. When: on Saturday, 14.11.2009, from 8:00 P.M. – 9:00 P.M.
Hier der Link zur Pressemeldung für die Uraufführung von Michel Montecrossa’s ‘Jesus Symphonie’, die am 14.11.09 um 20:00 in der St. Martin Kirche in Lagerlechfeld, stattfinden wird. Michel Montecrossa from the Lake Orta, a character unusual. Rock musician, even the creator of “Cyber Rock” and an artist of many faces, active as accomplished entrepreneur and endowed with mystic virtues. He moves between Germany, his homeland, the States and Italy. And it is precisely here, in the land of the Tricolore, at Coiromonte, a village near the Mottarone and Lake Orta, that one can find a hotel a bit different from the standards that we’re used to. Mirapuri, as it is named, is at the same time holiday destination and creative center, where his songs are born. Montecrossa is its creator. He sings, plays, composes, meditates, fights for peace in the world but without making a big fuss about it, only through his art. To him Daring To Do (the website ‘Daring To Do’ www.daringtodo.com – abbreviated in the following interview as DT) has put some questions. DT – What do you think of the wars raging in this world.? Michel is the author of a song for Barack Obama. A song which Barack Obama liked as he expressed in a letter to Michel. DT (Daring To Do) – Why this song? MM – “As a reminder to do the right and also to stick to the promises made during the presidential campaign”, he states. Therefore one feels obligated to ask the American-German artist what he thinks about our future. “Only the future is the future“, he responds in a categorical and enigmatic manner. Bringing up the topic of Dylan. DT – What does Bob Dylan mean to you? MM – “He is a good teacher. A fellow traveller with which I can communicate through the medium of music . A friend with the ‘F’ in capital letters“. DT – So if Dylan can be defined a free musician, Michel can also be labelled like that? The songwriter follows his own kind of religion whose reason for being is explained on all of his sites on the internet. But he respects strictly the religions of others. DT – Well, so you believe in paradise? MM – “Yes, I firmly believe in it and I repeat this in many of my songs“. DT – So, after all, who is Michel Montecrossa? DT – What do you want to express when you compose? MM – “It’s as if I would be in paradise, a really unique kind of sensation that is impossible to express in a few words. And while composing I feel myself to be a poet“. DT – In conclusion, Michel, you are talking in your songs about the climatic upheavels, but have you got a prospect of salvation for our future? MM – “Yes, for sure, I feel that I ought to believe firmly in a future where peace and serenity will have become universally shared feelings. I would like to add something that seems to me useful: The song “War is hell” is the answer to the first question and it is also the name of one of my CD albums“. Hier (siehe oben; int. Artikel) ist die englische Übersetzung des Interviews, das Gianni Mongrandi mit Michel Montecrossa für die italienische Kultur & Kunstnews Website ‘Daring To Do’ ‘Daringtodo.com gemacht hat. The next concert update!! 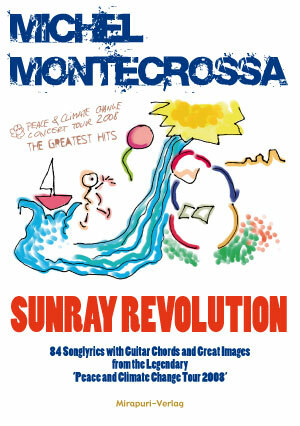 Michel Montecrossa’s ongoing ‘Courage & Love Climate Change Concert Tour 2009‘ will continue on 7.11.2009 with the ‘Peace For All’ Cyberrock & Climate Change Concert at the Michel Montecrossa Rock Vision Diner in Gauting near Munich !! Three hours of thrilling live-music by Michel Montecrossa, Mirakali and Diana Antara go along with Michel Montecrossa’a art-movie ‘The Peace & Light Cybersymphony’ as well as an exhibition of his beautiful paintings, drawings and Cyberart. 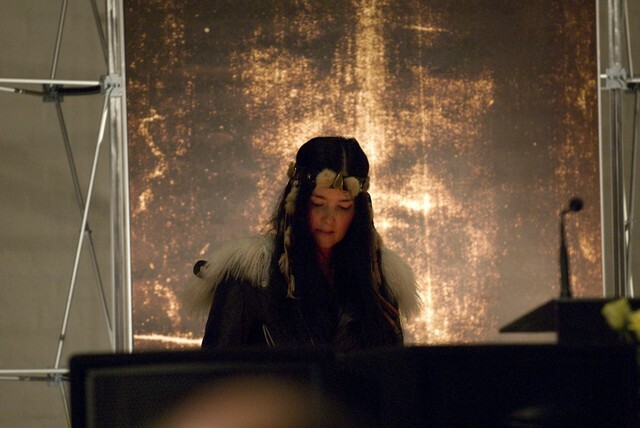 on Saturday, the 7th, Novembre 2009, from 8:00 p.m. – 1:00 a.m. Die nächsten Konzert-News!!! Mit dem ‘Peace For All’ Cyberrock & Climate Change Concert wird Michel Montecrossa am 7.11.2009 seine ‘Courage & Love Climate Change Concert Tour 2009 im Michel Montecrossa Rock Vision Diner in Gauting (Nähe München) fortsetzen. 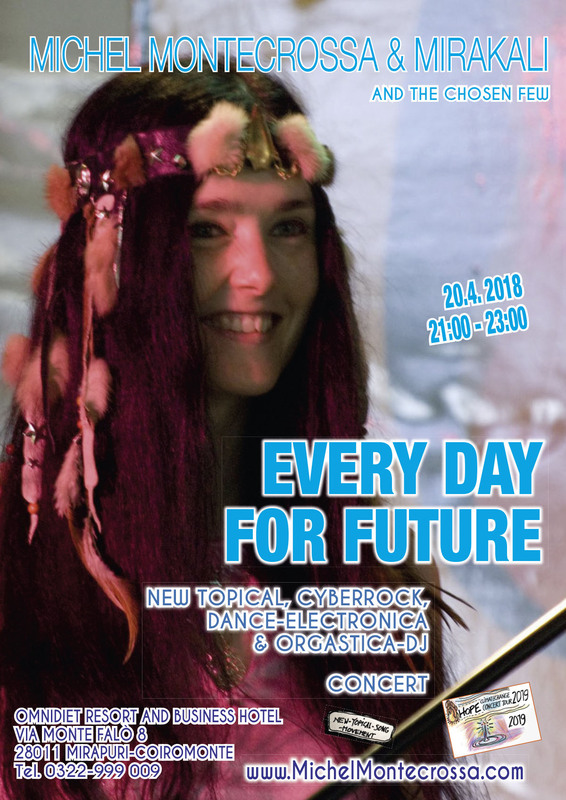 Das ‘Peace For All’ Cyberrock & Climate Change Concert wird um 22:00 Uhr beginnen und von einer Ausstellung begleitet, die Michel Montecrossa’s visionäre Gemälde, Zeichnungen und Cyberart präsentiert ( hier der Link zur Online-Ausstellung von Michel Montecrossa’s Kunst http://www.michelrockvision.com/#gallery ) Um 20:00 Uhr wird zur Eröffnung des Events Michel Montecrossa’s Artmovie ‘The Peace & Light Cybersymphony’ vorgeführt.